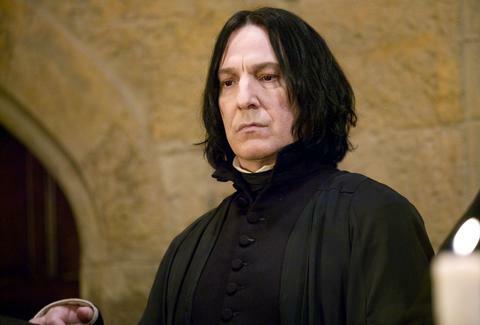 Actor Alan Rickman died today at the age of 69. The London-born actor was primarily a stage performer, studying Shakespeare at the Royal Academy of Dramatic Art as a young man and rising to prominence in 1987 following a Tony-nominated Broadway turn in Les Liaisons Dangereuses. But, for most pop-culture junkies, he was something else: the ultimate, enunciative movie villain. Though Rickman earned raves for a variety of screen roles -- the romantic lead in Sense and Sensibility, heartbreaking specter in Truly Madly Deeply, and the Spock-like Alexander Dane in Galaxy Quest are worth seeking out -- his scheming bad guys always had a tight grip on the public imagination. Through commitment, intensity, and that famous tight-lipped sneer, he conjured both empathy and disdain for some of the most dastardly characters we’ve ever seen. In celebration of Rickman’s long career, here are some of his best villainous roles. While the “Yippee-ki-yay” catchphrases and the explosions are memorable, the secret to Die Hard’s iconic status is simple: give the hero a worthy villain. In Hans Gruber, Bruce Willis’ John McClane met his match. Heck, on paper, there was no way a cop from New York could best this mastermind. Gruber was smart, cultured, funny, and a ruthless international terrorist. Rickman was so charming in the role that you weren’t exactly rooting for him by the movie’s end, but you couldn’t help but hope he’d survive for a sequel. Let's be real: Robin Hood is by no means a great film. Kevin Costner’s British accent is embarrassing and the movie’s dark tone makes the 143-minute running time a bit of a slog. But the movie has two things going for it: a classic cheesy Bryan Adams song and yet another killer Rickman performance, this time digging into the conniving and power-hungry. Despite his cruelty, the actor brought a rock-star sexiness to the role, transforming the Sheriff into the ultimate hair metal-era bad boy of Nottingham. In Tim Burton’s blood-stained adaptation of Stephen Sondheim’s stage musical, Rickman answered a an age-old question: can Hans Gruber sing? Yes. Of course. And he did in his own evil, charming way (while caked in shaving cream, no less). “Mr... Potter...” With two simple words, Rickman quelled fan fears that Harry Potter films couldn't capture the complexity of a character author J.K. Rowling created on the page. In a series stacked with classically trained British thespians chewing the scenery, Rickman was consistently the best thing about the films, resisting the urge to play Snape as a cartoonish knave. Instead, he invited viewers to understand his tortured potions professor. Over a decade he endeared himself to a whole new generation of young filmgoers. In a perfect world, this is the role that would’ve lined Rickman’s mantelpiece with Oscars. Dan Jackson is a staff writer at Thrillist Entertainment and he loves when Rickman yells, "Shoot the glass." He's on Twitter: @danielvjackson.